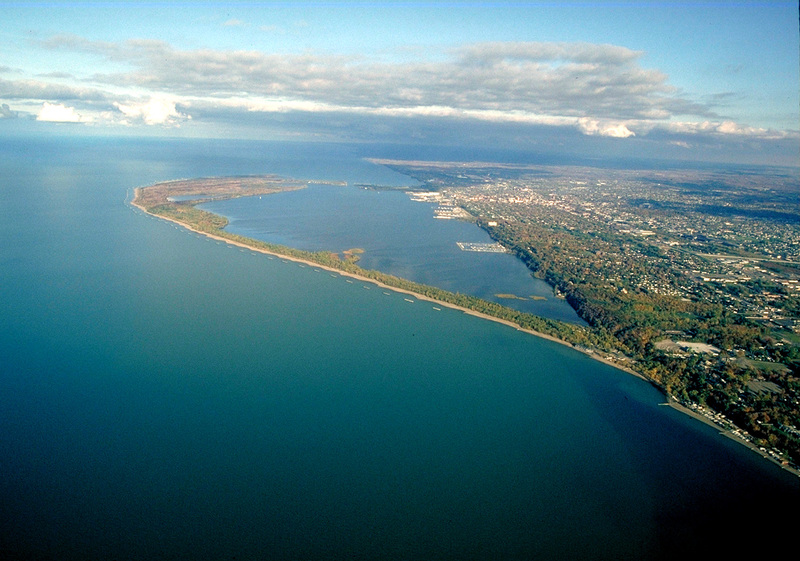 On Saturday, June 20, 2015, I will tackle the ‘Sub-3² Challenge’ at Presque Isle State Park on beautiful Lake Erie. A few short hours north of Pittsburgh, it is the perfect setting to have a marathon run and a marathon swim, back-to-back. Our decision to change the setting from California to Pennsylvania was based on personal reasons. 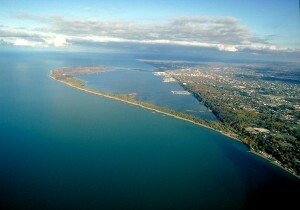 The run will follow the Presque Isle Half and Erie Marathon courses; a flat, 13.1-mile lakefront loop around the park. Confirmation on the marathon run pace team and crew is pending. Josh Heynes (marathon swimmer, Ironman and founder of the Lake Erie Open Water Swimming Association) will be head crew to support the swimming portion along with other Canadian marathon swimmers. This setting is very special, as it was the site of my first 5K open water race back in 1999. And most importantly, I am thrilled my family and friends will be there for support! The event will be held in honor of Alli’s 11-year old cousin, Julia, who has recently been diagnosed with Ewing’s Sarcoma. Ewing’s is a rare form of cancer which forms in the bone. As her battle begins, Julia and her family will be challenged in a way many will never know, and we have decided to make this a benefit race to support their journey. We will have more information soon, but hope you will support with any contribution you can make to First Descents in Julia’s honor. Donations can be made at the following link: https://support.firstdescents.org/channeledin. While a few top triathletes have expressed interest in racing we do not, however, have any official challengers. I will continue to solicit anyone who is willing, as perhaps the change in location will spark interest closer to home. The marathon course is flat, water in the mid-60s and the weather beautiful on Lake Erie this time of year! Training for this Sub-3² has been going very well, as having Lucas Marsak (lucasmarsak.com) coaching me with detailed running plans has pushed me to another level. 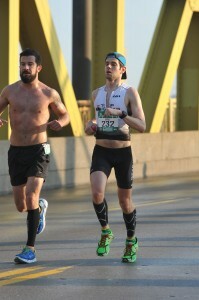 Last weekend, unrested, I felt great along the Pittsburgh Marathon course. My confidence has escalated even more with the ability to swim open water in the Allegheny River just outside our apartment instead of being confined to the pool. Summer has arrived in Pittsburgh! Now. Who is up for an endurance battle to benefit a much greater fight? You’ll have a competent crew, place to stay, food to eat and a ride from Pittsburgh International Airport. This challenge isn’t about us. It is about doing what we can to give our gift to help, and inspire others along the way. LET’S MAKE IT HAPPEN!! Team Forever is a recognized 501(c)(3) nonprofit organization. All donations are tax exempt. UPMC Children’s Hospital of Pittsburgh depends on charities like Team Forever and generous donors, such as you, to help families with children in need. Your generosity is much appreciated and 100% of every contribution is donated toward the cause.